100% Giving with the SHRM Foundation! The SHRM Foundation is proud to present scholarships to students and SHRM members who are pursuing academic and professional development opportunities in the HR field. This year, the SHRM Foundation is awarding five SHRM Annual Conference & Exposition scholarships to individuals from across the U.S.
Over the coming decades “Mature Workers” (defined as age 50+) will be one of the largest sources of talent available. Given this reality and the invaluable nature of older workers’ experience and skills, organizations must develop both acquisition and retention strategies to employ the mature workforce and stay competitive. That’s where SHRM, the SHRM Foundation, and AARP come in. Accept the challenge and go ALL IN for SHRM Foundation's #ALLinSTEP Challenge at #SHRM17, powered by Fitbit Health Solutions. REGISTRATION FOR THE #ALLinSTEP CHALLENGE IS NOW OPEN! Today is a BIG DAY! Registration for the #ALLinSTEP Challenge at #SHRM17 will open later today, and in anticipation of the registration kick-off we will be sharing profiles on the final two team captains to help you decide what team to join! Check back on the SHRM Blog later today with more information about registering. 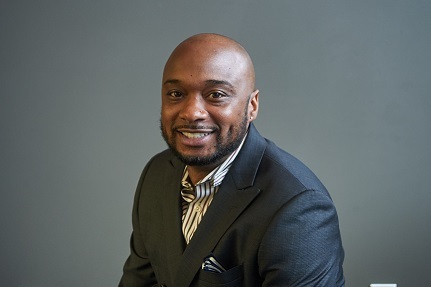 Meet Edward, SHRM Foundation scholarship winner (and Army vet!) and Dr. Jeff Walls, Professor of Business at Indiana Institute of Technology and founding advisor of the SHRM student chapter. Next Monday, registration will open for the #ALLinSTEP Challenge at #SHRM17. In anticipation of this kick-off we will be sharing more about the team captains to help you decide what team to join! Meet Betsy, Deanna and Elissa—the SHRM Foundation Board Chair, a member of the SHRM HR Team and SHRM’s Vice President of Membership. Registration for the Step Challenge opens on Monday, May 15th—choose your team wisely! Meet Joey, Megan and two Steves (Browne and Nunberg)—two HR bloggers, and two leaders of the #SHRM17 HR Happy Hour Facebook page. Meet Denise, Roshelle and Paula, two current members and one former member of the SHRM Membership Advisory Council (MAC)! We’re kicking off the Captain introductions with Angie, Laraine and Sharon, three members of the SHRM Membership Advisory Council (MAC)! Registration opens on Monday, May 15th—choose your team wisely! At the end of 2016, the SHRM Foundation forged a new partnership with ACDI-VOCA, a Washington, DC-based international development organization experienced in managing impactful, skills-based international volunteering programs. They offer professionals international volunteer opportunities at no cost to the professional or their organization. The SHRM Foundation team has known for a while that Jeff Nally was a champion for HR professionals and the profession—but, what we didn’t know was how he would step-up and become a champion for the new SHRM Foundation strategy. The SHRM Foundation will award 300+ scholarships in 2017 worth a total of almost $500,000. Each year we read hundreds of applications for HR professional and student scholarships and wonder how we can do more. We can do more when you make a gift to the SHRM Foundation this holiday season. We will continue to help students like Corinne turn obstacles into opportunity—and this is your chance to be a part of that—make a donation today. The SHRM Foundation will continue to invest in HR scholarships for current and future HR leaders because we know that skilled and empowered HR professionals transform the workplace and workforce. In 2017, the SHRM Foundation will award more than 300 scholarships worth a total of almost $500,000! Read more below about one of the many deserving, talented and devoted HR students we have supported over the years. After Thanksgiving, it’s Black Friday. Then comes, Cyber Monday. #GivingTuesday is the global day of giving that brings ordinary people together to make extraordinary things possible. Each year the SHRM Foundation anxiously awaits the arrival of almost 1,000 SHRM volunteer leaders for SHRM’s Volunteer Leaders’ Summit. For us, it is a chance to connect, share our gratitude for their continued support, and share about all of the SHRM Foundation opportunities available for their members. Each year we leave SHRM VLS feeling inspired, empowered and transformed by the conversations we have and the incredible people we’ve met. The SHRM Foundation will award more than 225 scholarships in 2016—Andrew is one of thousands of HR professionals and students that have been impacted by these awards each year. Andrew found his way to HR in high school and his commitment to the profession has not wavered. His dedication to the profession, to helping others and bettering himself is what makes him a great representation of HR professionals and so many of the SHRM Foundation scholarship recipients. In honor of the upcoming Veterans Day holiday, we would like to introduce you to Jessica Collins, the first winner of the SHRM Foundation Annual Conference & Exposition Veteran Scholarship. Jessica’s story is one of unbelievable timing and a challenging transition. It’s that time of year when leaves are changing and families gather together to share their thanks. At the SHRM Foundation, it’s a busy time of year as we are awarding scholarships and publishing new resources. This is also the perfect time to share with you Burgandy’s story. She is one of many ambitious, thoughtful and passionate HR students who receive scholarships from the SHRM Foundation each year. The SHRM Foundation advances global human capital knowledge and practice by providing thought leadership and educational support; and sponsoring funding and driving the adoption of cutting edge, actionable, evidence –based research. Greetings Fellow HR Professionals and organizational leaders. I am the Director, SHRM Foundation for Elizabethtown SHRM (known as ESHRM). ESHRM has supported the SHRM Foundation in many ways. The ESHRM Chapter supports the SHRM Foundation annually with donations obtained from our chapter's "Change-for-Change" fundraising initiative.